Get Into The Rest Area! | Precious Thoughts! 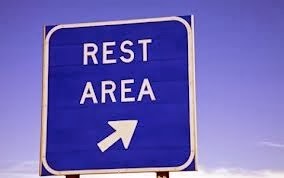 Get Into The Rest Area! When I was a little girl [and sometimes now], whenever I am told by my mum that we [the family] are travelling, there’s a regular ‘drama’ that takes place. The night before the intended day of travel, I sleep intermittently; I am asleep for 30minutes and awake for 45minutes, then asleep for 30mins and the cycle continues till it’s time to wake up to prepare for the journey. So what goes on during those hours when I am awake? It’s the ninth day of December 2013, there could be promises we are waiting on, to manifest [let me put it this way] or maybe there are promises that should have manifested long time from now[early this year], but it seems as if, there’s no ‘green light’ signal, it’s from ‘frying pan to fire’ signals you seem to be getting. Every time you anticipate to see the promises, it’s far from visible. Okay!From this day, I urge you to grab a ‘truck overflowing with hope’ and smile, because there’s something significant about the promises of God-they always come to pass, it may not be at your ‘own right’ timing; but it will definitely be at the best timing for you. In your own eyes, it may look as if the right time was supposed to be yesterday, the last 11 months or even 2012; but be rest assured that He that keepeth thee, neither sleeps nor slumbers and He makes all things beautiful in His time. 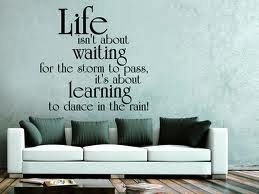 So while you await the manifestation, fix your eyes on Him with joy, knowing that He has your best interest at heart. Also, while you wait, rest [rest?!] Yes, rest! assuming I rested when I was supposed to be resting, I would have been strong for the journey. In other words, as you wait for the manifestation of the promises, keep your mind at rest by engaging in other positive things and drawing strength from the word of God. Because the more you wait agitatedly, the more you ‘wake up and realize it’s still dark’, and the more you wake up in such a manner, the farther the visibility of manifestation. You may say 2013 is almost gone and this —— has not happened, and God could be saying: ‘My child, there are 22 days in the year, I can choose any hour or minute in the 528 hours to bring forth the manifestation’ or ‘My child, 2014 is the set time for this not now’. I do not know why I woke up with a burden to put this post up, but I believe that as simple as this words are; someone is encouraged to rest while waiting. P.S remember to share and leave a comment. These words are so encouraging. Don't relent my dear, you are really good.